Our first full winter and it decided to snow! 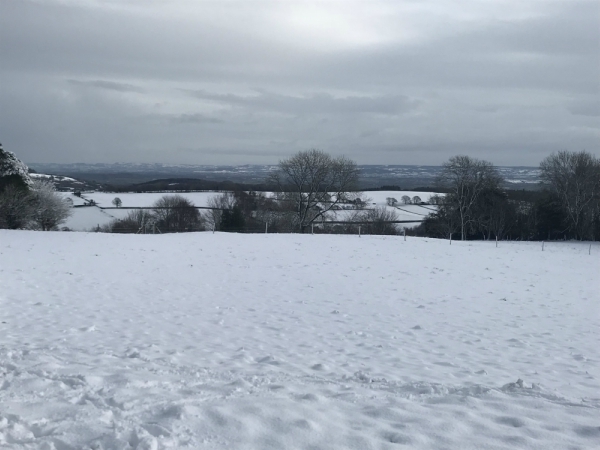 The snow was beautiful and glorious to look at but it did cause some fun and games, it has to be said. Fortunately, we were prepared. 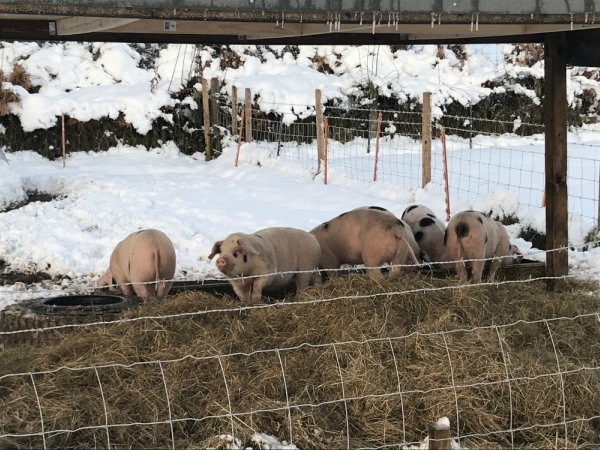 Having previously laid some hard standing for the pigs I think, in fact, the pigs actually had a whale of a time! 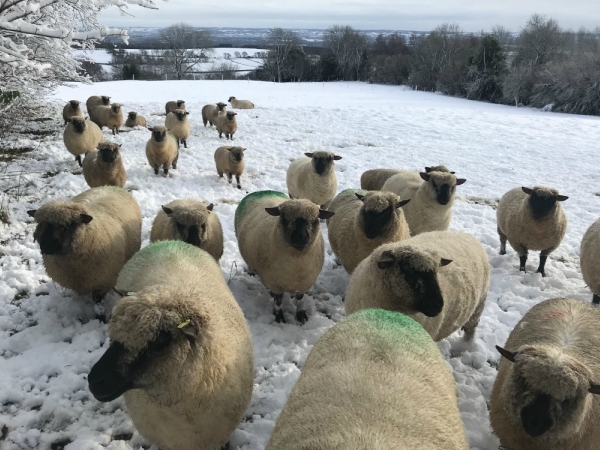 The sheep were a different matter – they simply looked miserable. There was no grass as the snow was so deep. 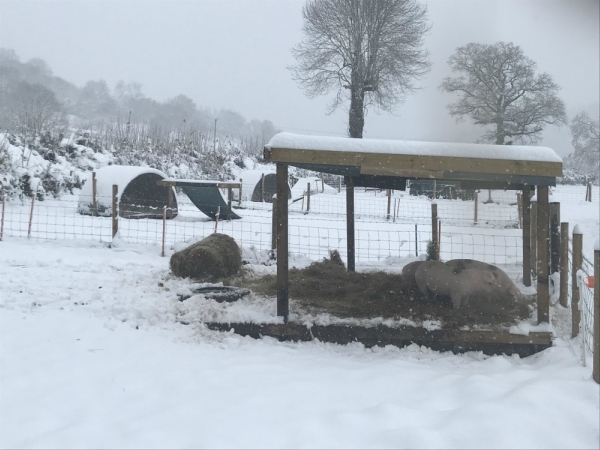 The water troughs were frozen. 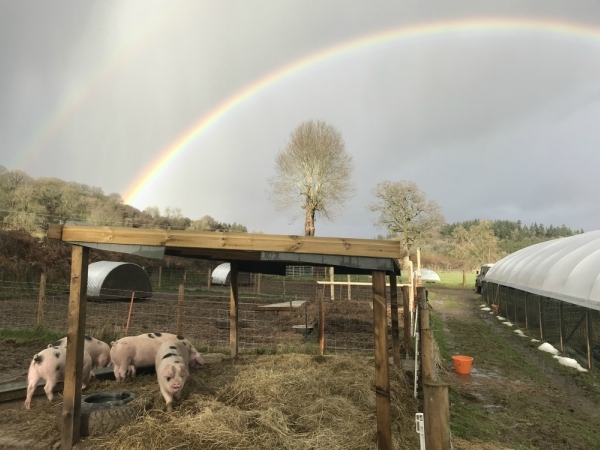 We simply couldn’t bear to watch them so we brought our mollycoddled babies in; the poly tunnel came into its own and the girls were warm and dry. Call us soft, but it’s the way we roll! 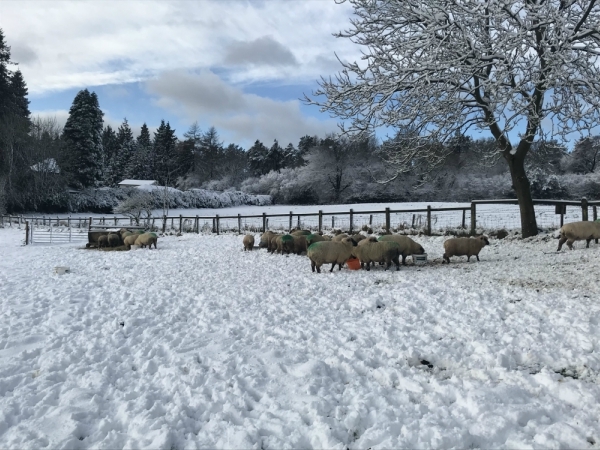 Once the snow had melted we moved the sheep to the Wilderness Centre; I work part time at the Centre and we have the luxury of using 6 acres of their fabulous grounds. We use the Wilderness as further grazing for the sheep and in return helps to manage the Wilderness grounds. But what did it do? 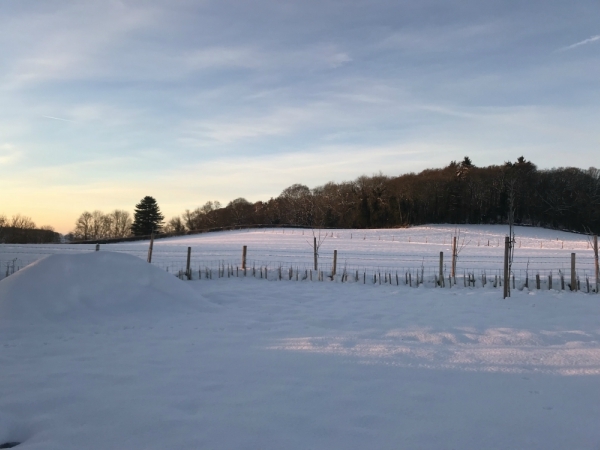 It snowed (again)! 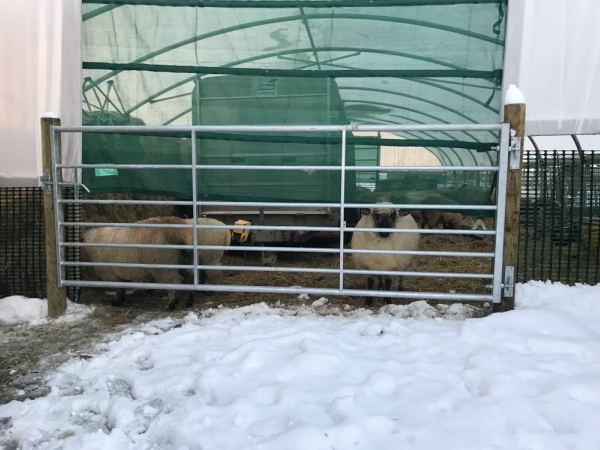 Although the sheep had the benefit of plenty of woods and shelter they decided to stay put, perhaps the poly tunnel had spoiled them? The look on their faces queried what this white stuff was that had decided to descend upon them once more. “What are you going to do about it mum” they seemed to say. 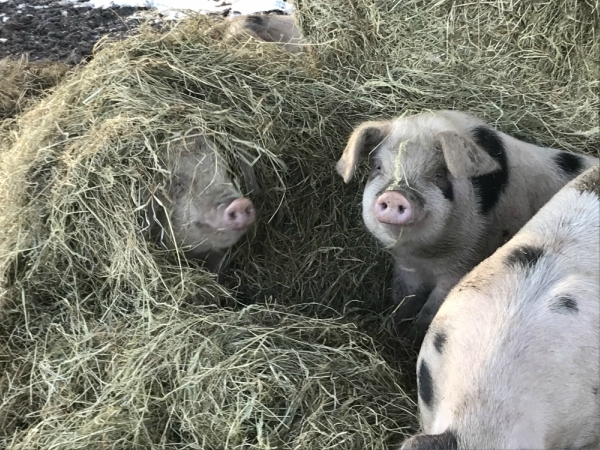 Cue hay rack and coarse mix – hard feed to supplement the lack of grass. Also cue a sturdy boot to break through the ice in the water trough. 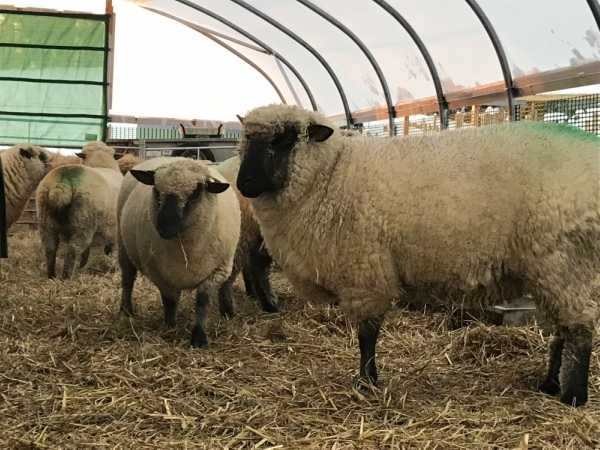 It is said that sheep are stupid – but our lot know which side their bread is buttered! At the time of writing, it seems that normal service has been resumed. 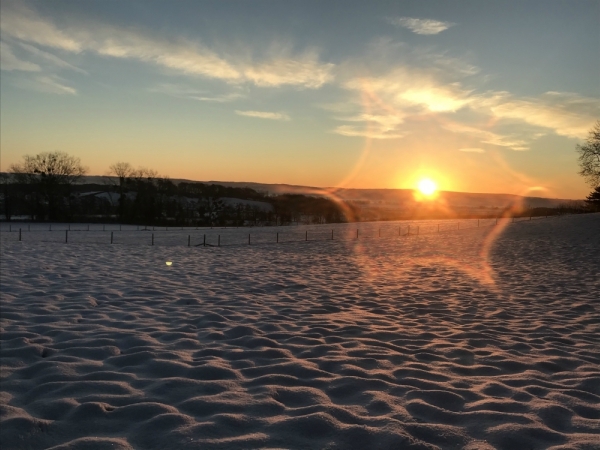 Much as we love the snow, I for one am pleased to see the sunshine. 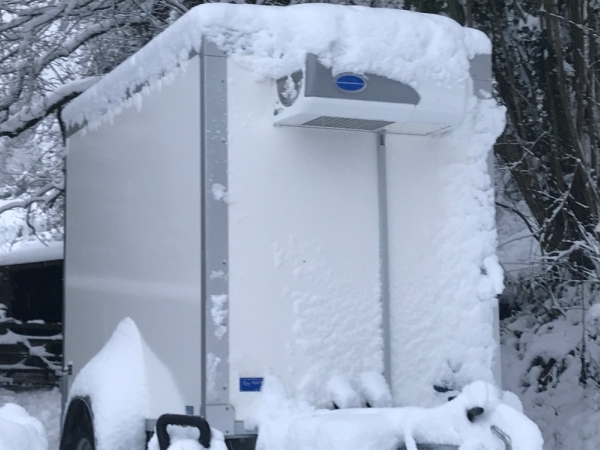 Just a side note because I find it quite ironic – a photograph of our fridge trailer covered in snow!